A classical music concert-format show featuring eminent musicians and artistes - shot in an aesthetically designed set and presented by Ajith Namboothiri, a researcher, musician and musicologist. 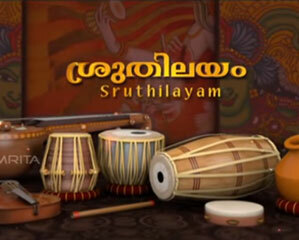 Each episode is based on a single theme such as composer, raga, thala, composition, film music etc. and also covers both vocal and instrumental forms of different genres of Indian Classical Music like Carnatic, Hindustani, Kathakali, Ancient Tamil, Indian Classical Music based on Western flavours, Dance Music and so on.